Make your stay in Queenstown relaxing and effortless in a spacious lakeside apartment fully equipped modern kitchens, high quality fittings and underfloor heating, free wifi and wonderful log fireplace. Soak in the stunning views over Lake Wakatipu and across The Remarkables mountain range. Unwind after a days sightseeing, skiing or playing in Queenstown in the fully enclosed heated swimming pool and steamy sauna. 18 comfortable and superbly appointed apartments featuring 1, 2 and 3 bedroom fully serviced units for you to choose from. Queenstown is a very special part of the world and it is our goal to make your stay here special also. While the cosmopolitan town of Queenstown may tire you out with so many amazing activities like jet boating, paragliding, a lake cruise or skiing all on your doorstep; or an endless array of boutique and luxury shopping; and way too many restaurants, cafe's and bars to choose from in one trip - it is the end of the day when you can come home to your own Queenstown sanctuary. 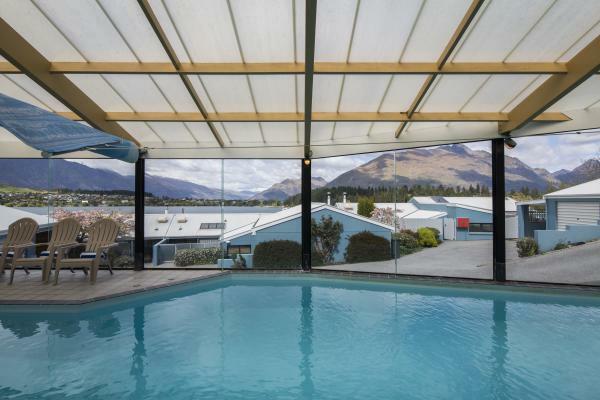 Relax in our fully enclosed heated swimming pool and steamy sauna or enjoy a local wine on the balcony overlooking Lake Wakatipu as the sun sets on the Remarkables. All apartments have their own private courtyards and BBQs for evening entertaining or just a traditional Kiwi meal for the family. It is like having your own home away from home. Every one of our Queenstown lakeside apartments come complete with fully equipped modern kitchens, spacious living areas, high quality fittings and underfloor heating, 40 inch LCD TVs with 50+ Sky channels and free wifi with secure connection. The log burner is also a special treat to enjoy a glass of local Pinot Noir on a winters evening. 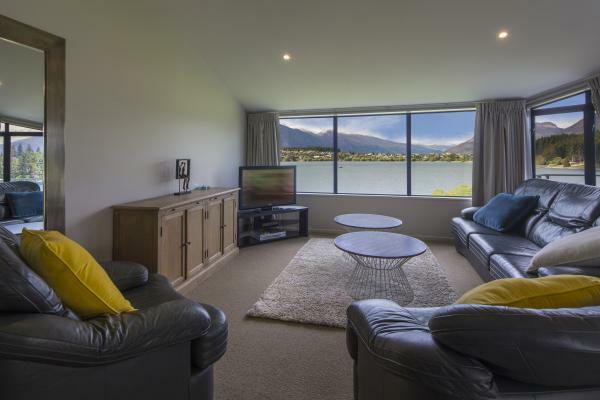 Spinnaker Bay Apartments offers stylish Queenstown holiday living at its very best. Make Spinnaker Bay your choice for relaxing apartment accommodation in Queenstown. 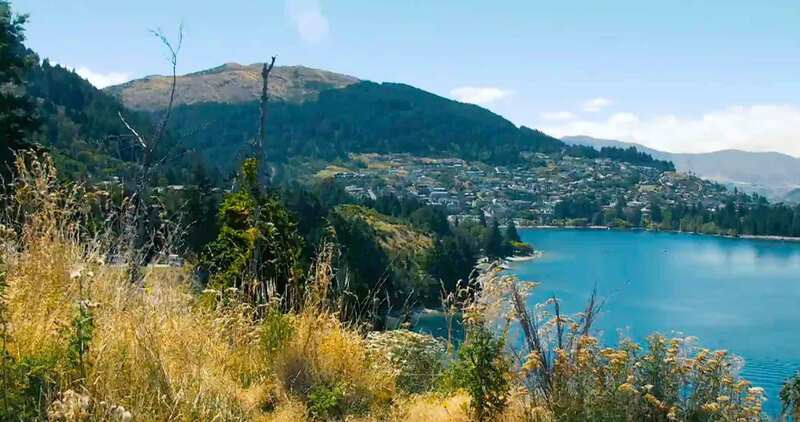 A short stroll along a wooded lakeside track leads you to the hustle and bustle of cosmopolitan Queenstown with it’s many international shops, restaurants and bars. Whether you are an adrenaline junkie visiting the adventure capital of New Zealand, or just wanting a quiet and relaxing holiday at this popular resort town, Spinnaker Bay has everything you need to make the most of your stay. Queenstown is adventure capital of world, home to such everyday activities as Bungy Jumping, white water rafting, jet-boating, canyon swings, downhill mountain biking, river surfing and so much more. A holiday in Queenstown does not have to be filled with action, but if it is madness and adrenalin you are after we have your measure.